Business Direct caters for all your IT needs and provides everything from a single laptop, to complete IT solutions including design, supply, deployment and ongoing management. With top-tier accreditation from world-leading technology vendors, we offer expert advice. Business Direct stocks every item of IT, computing, and networking equipment, as well as all the associated installation and support services that a business needs to run smoothly. From the desktop PCs and laptops used in and out of your office to the networking, servers and conference systems that will be vital to connect with your customers. Many of our products can also be covered with extended hardware warranty support to minimise downtime and help save money on replacements. Networking and infrastructure products will be important for your business whether you’re connecting just a few computers together, or need larger enterprise solutions. 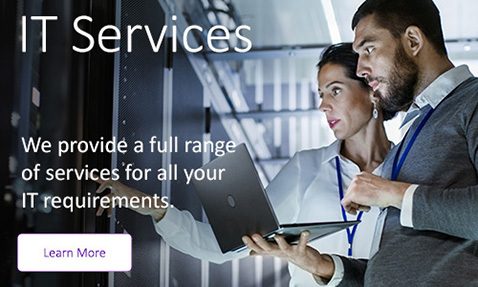 Business Direct has everything covered with servers and server accessories, enterprise storage and Network Attached Storage (NAS), routers, network cabinets to bring your company together. For added peace of mind you can also purchase security and anti-virus and firewall solutions and a whole host of software designed to protect against malicious threats to your operation. Finally we stock all the basics too, including keyboards & mice, cables and speakers. 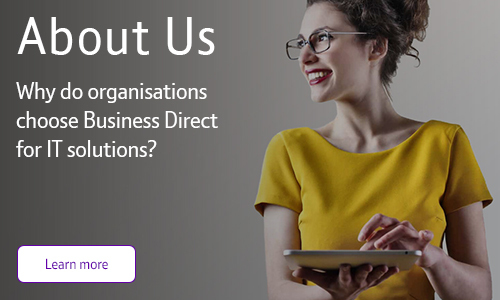 For the best value-for-money on computing and networking essentials for your business, put your trust in Business Direct today.